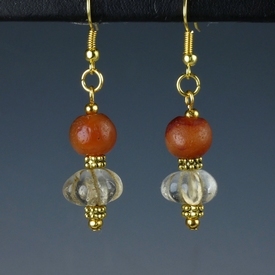 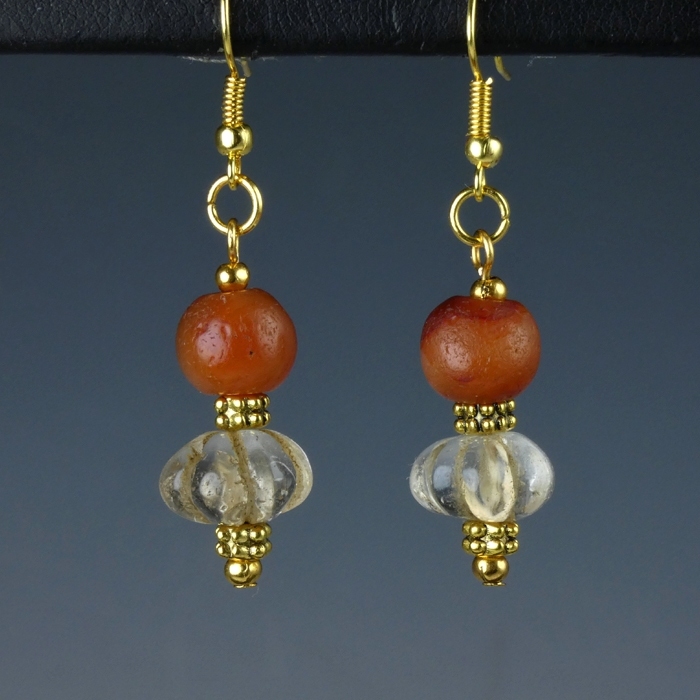 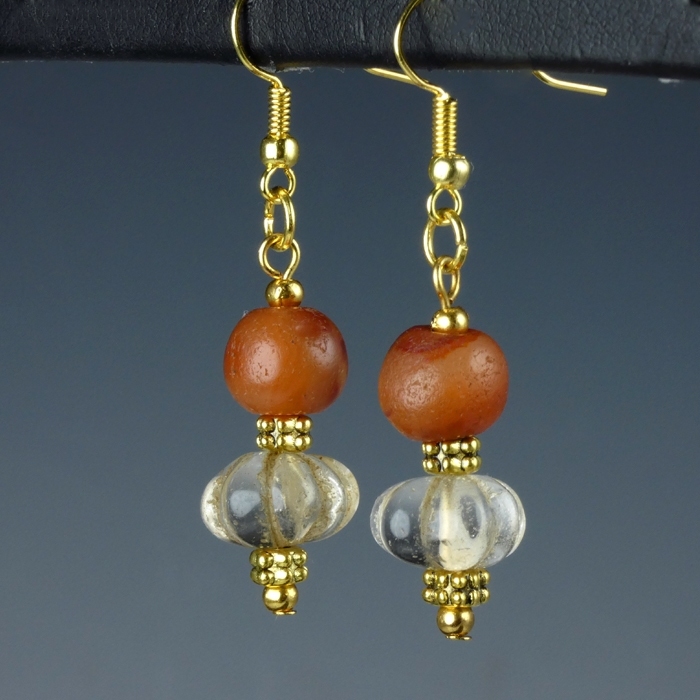 Earrings with globular Roman carnelian and ancient rock crystal melon beads. 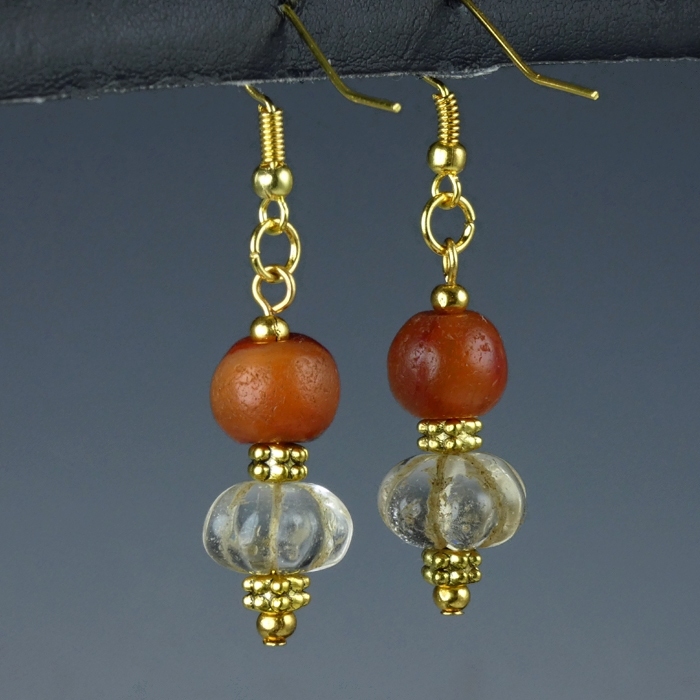 Restrung with authentic Roman beads in a new setting with decorative spacer beads. Wearable (new hooks).